The St. Thomas' men's hockey team kick off the 2011-2012 season at home versus the UPEI Panthers on Wednesday September 21st at 7 PM. This will be Troy Ryan's first game behind the STU bench. In total the Tommies will play 6 pre-season exhibition games and 2 after Christmas before the second half begins. Lady Tommies add two more players. Exhibition schedule unveiled. Coach Peter Murphy has added two more pieces to the 2011-12 St. Thomas Tommies women's hockey team. Troy Ryan knew he would have to upgrade his St. Thomas defense this year and he is off to a good start adding Chris Van Laren most recently of the OHL Guelph Storm. With the graduation of Keith Wynn, David Crossman, Scott Judson and Erick Tremblay you can expect that this will not be the last d-man added this year. Van Laren "has got a bit of an edge to him," Ryan told the Daily Gleaner, "He has the abilities to play against top players, very difficult to play against." 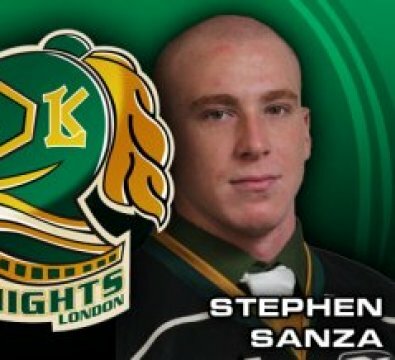 This is good news for the Tommies moving forward especially as this is the first two OHL recruits (see Sanza post below) to STU in 4 years. Guelphstorm.com - "Trade a surprise but solid play is not"
thespec.com - "Trade deadline deal key to Guelph Storm revival"
The Daily Gleaner - "Tommies bring in two OHL recruits"
In lieu of news coming from our hockey programs over the past little bit an update is in order for the Tommies new home. Contrary to popular reports of a March 2012 move-in date it looks as if the Grant*Harvey Centre will be open for business in June of 2012. Grant*Harvey Center, July 2011. Olympic ice surface. Grant*Harvey Center. Olympic ice surface and visitor dressing rooms. Rear view of Grant*Harvey Centre, early July 2011. On a recruiting note we hope to have some names of new players coming to St. Thomas' men's team this month so hold on Tommie fans. On the women's side the only "new" addition not already mentioned is actually a former Tommie who took last year off. Jillian Coughlin has been confirmed by Coach Murphy as returning to the line-up for 2011-12. In an injury plagued 2009-10 season Jillian scored 3 goals and 3 assists for 6 points in 12 games. In her rookie season for STU she had 17 points including 12 goals and 5 assists in 23 games. Welcome back Jillian.